Hello. I’m Kia and I am a planner and office supply addict. I know I have a problem! I love planners, office supplies (mainly good pens) and cute office decor…and I LOVE a good notebook. My friend, who is also an addict, introduced me to May Designs (https://www.maydesigns.com/). 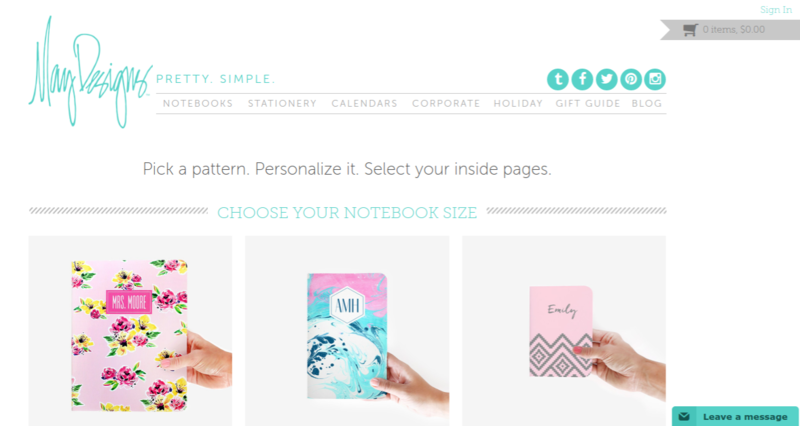 May Designs makes personalized notebooks, as well as stationary and calendars. 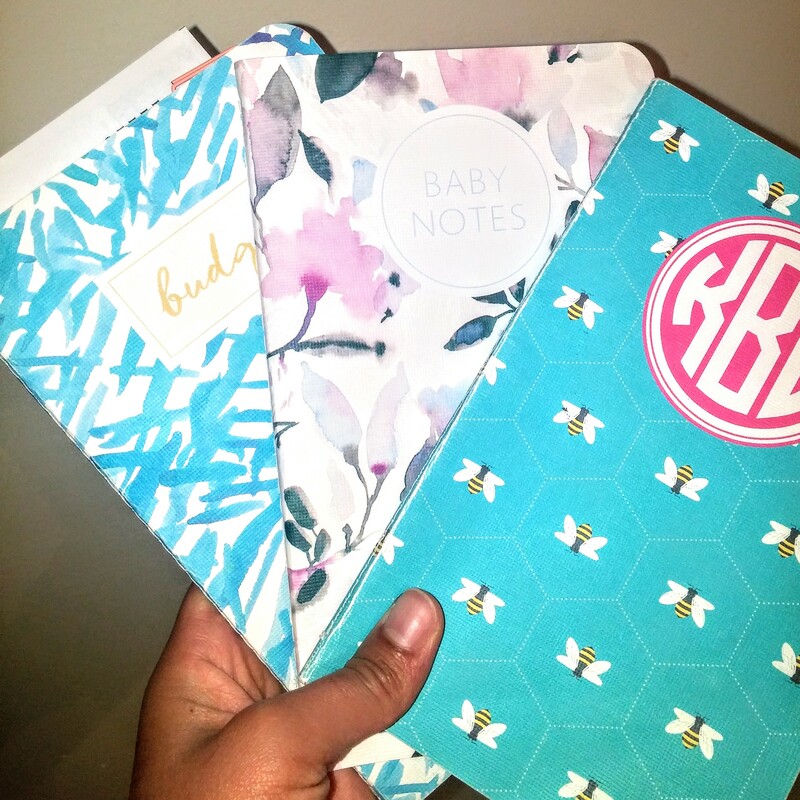 I LOVE their notebooks! Here is the rundown on their notebooks and what makes them unique. First, you can choose the size of notebook you would like, which is basically a small, medium, and large option. Next, you choose your design. There are over 150 designs (sorry I stopped counting)! They even have a partnership with Emily Ley for those with a Simplified Planner. Next, you can choose a monogram for your notebook. This is not necessary and there is an extra fee ($5), but you choose the color and font of your monogram. The final step is choose the inside of your notebook. They have many options, from plain lines to agendas. I love all the different options. These make great gifts and range in price with the least expensive, smallest (Mini) notebook running about $12 with just basic lines. The Classic (medium) notebook starts at $15 and the Largest note book starts at $20. If you need a gift idea for a friend, check out May Designs or even consider purchasing a gift card to the site so they can personalize their own notebook. 🙂 I recently purchased the Budget Planner, which I love, and the Newborn Notes, which I can’t wait to use! Next Post why I have 7 bank accounts!